BK1001. 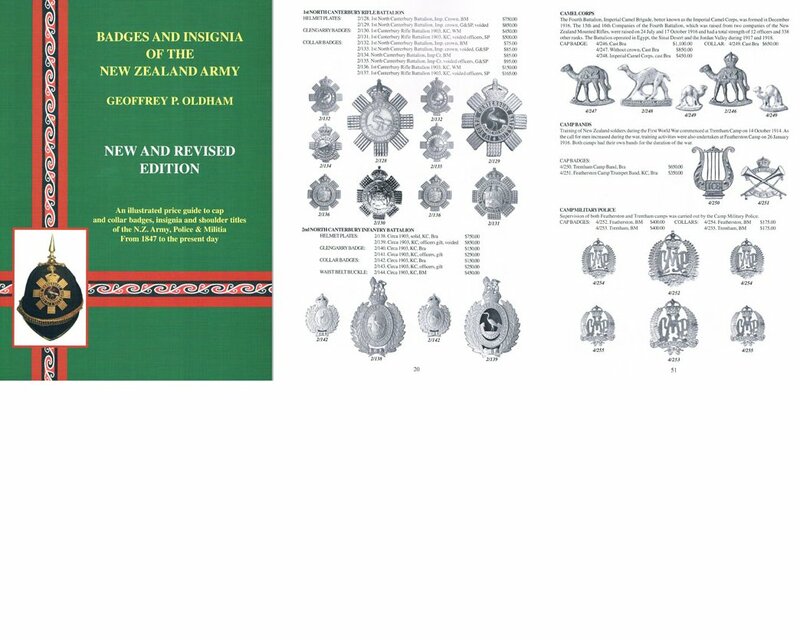 BADGES AND INSIGNIA OF THE NEW ZEALAND ARMY - NEW 2011 | Military Memorabilia Ltd.
New and Revised Edition 2011 by Geoffrey P. Oldham, An illustrated price guide to cap and collar badges, insignia and shoulder titles of the of the New Zealand Army, Police & Militia from 1847 to the present day. Soft cover, 122 pages and over 1,200 illustrations.